Usher busted out his best Michael Jackson dance moves to help debut a brand new song from the late singer during the iHeartRadio Music Awards. And oh my GOD was it incredible. A new album from Jackson is scheduled to be released on May 13. It reportedly includes eight previously unreleased songs which were worked on by producers such as Timbaland and others. On Thursday, Usher helped debut one of the new songs. 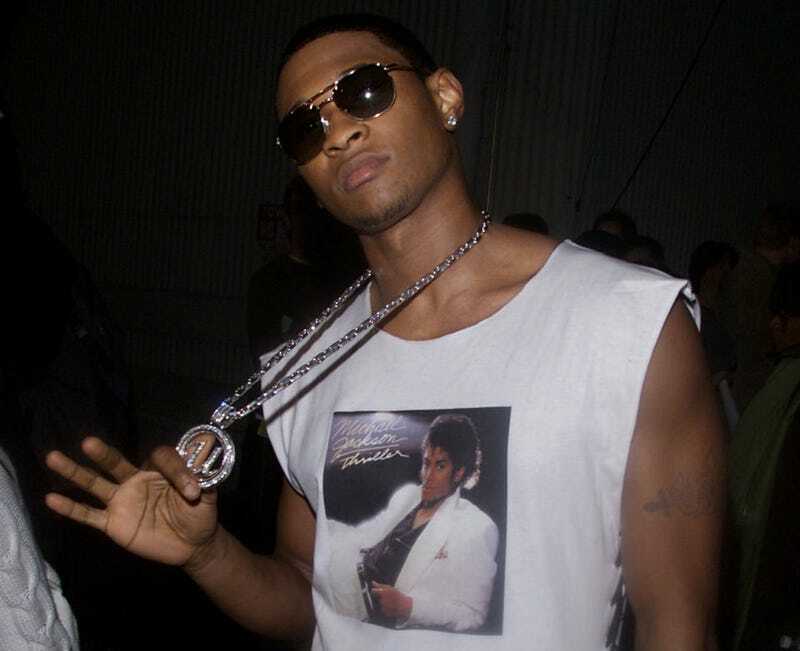 During the first ever iHeartRadio Music Awards, Usher took the stage to perform a dance number to "Love Never Felt So Good," a brand-new MJ song. The song, produced by John McClain and Paul Anka, was recorded back in 1983. It will be featured on XSCAPE, Jackson's upcoming album. The song sounds pretty good—very true to Jackson's style in the 80s. According to NME, the music was "contemporised" by producers who worked with L.A. Reid on the album. Reid was granted access to more than four decades worth of Jackson's vocal tracks. Good news if you're a Sony Mobile customer—you'll be able to download the entire album for free on select devices on the day it's released. using select devices will be able to download the album for free on the day of release.